Occasionally car makers come up with models that make no commercial sense at all. 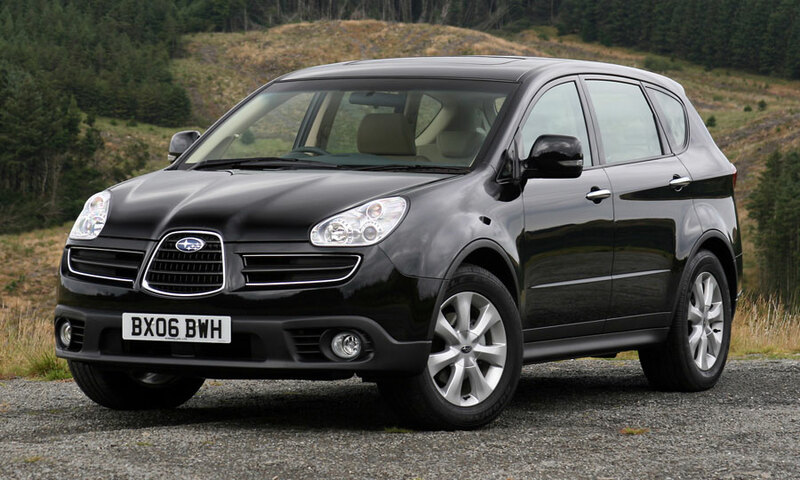 Take Subaru's B9 Tribeca; a full-sized SUV with five or seven seats, and 3-litre petrol power only - in a market that demands diesel almost exclusively. The car bombed, and as a result, used values are on the floor and will stay there. However, if you can live with its thirst and awkward styling, the Tribeca is worth a closer look, as it has lots to recommend it too. 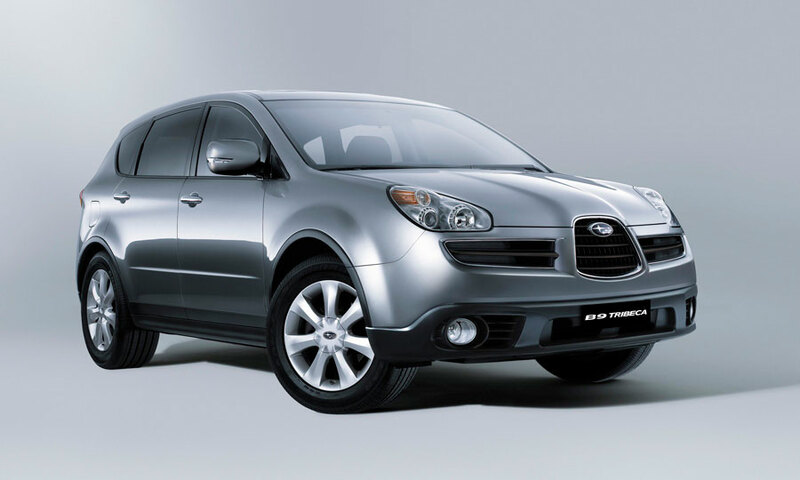 11/06: The B9 Tribeca reaches showrooms, with a 3-litre flat-six petrol engine and five-speed automatic gearbox as standard. There are five (SE5) or seven-seat (SE7) options, priced between £29k and £34k. 5/08: There's now a factory-fitted LPG option, with a 61-litre tank as well as the 64-litre petrol tank. Go for a seven-seater and those in the back will struggle to get comfy; there really isn't enough space for more than five. 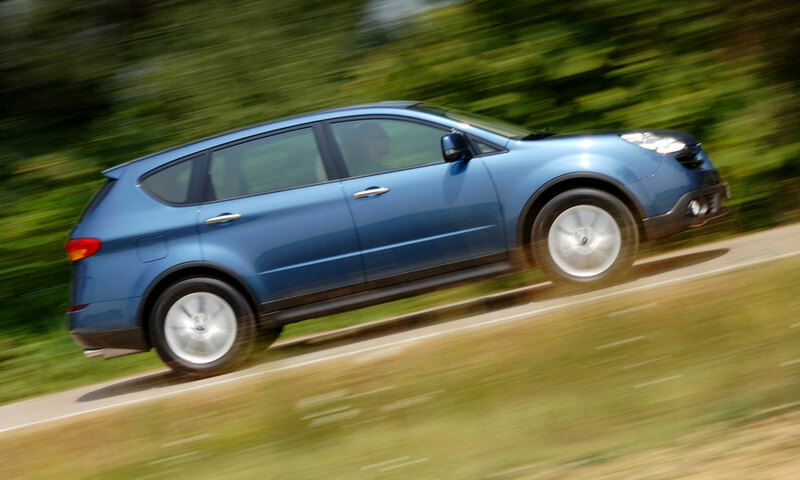 With a 64-litre fuel tank, and such a raging thirst (22mpg is typical), the Tribeca's range can be woefully short. 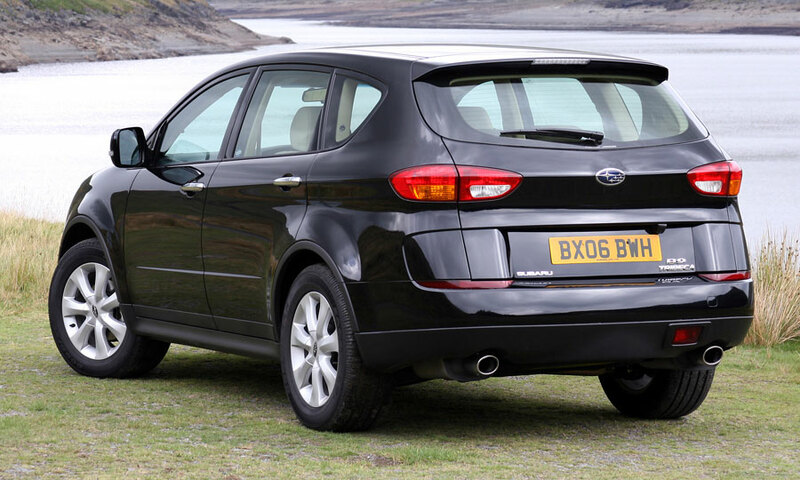 The Tribeca has a 2000kg towing capacity, but as the car is so heavy on its own, performance really suffers. And don't mention the even greater fuel consumption.